Snowbird destinations can become a little repetitive, especially if you’re flocking to the same place every year. Think Florida, Arizona, California, Mexico, and all the other typical snowbird hotspots in between. For your next trip, why not push yourself out of your comfort zone and visit a destination that’s always been on your bucket list? The endless blue waters of the Mediterranean sea are sure to beat those winter blues. If you’re a history buff at heart, you’ll love the rich, vibrant culture of Spain. With its magnificent museums (El Prado is a must-see), quaint villages, swoon-worthy cathedrals, and live music and dancing, there’s plenty for everyone to enjoy. For architectural lovers, a trip to Park Guell in Barcelona is a must to check out Gaudi’s quirky canvas. Spain is also home to delicious wine and healthy food, and is especially known for its tapas – both play a big part in the Mediterranean diet! If you want to make the most out of your trip, guided tours in Spain are the way to go, and they’re an excellent way to learn directly from the locals. Apartment rentals are usually easy to find, and are reasonably priced in the winter. To top it off, the temperatures in Spain are mild year-round, so you can take advantage of the sunshine any month you please! How to get around: Spain has good quality bus transportation and a high-speed rail network. Bigger cities also have an underground metro, which makes it very easy to get around, but if you really want to explore, renting a car is your best bet. 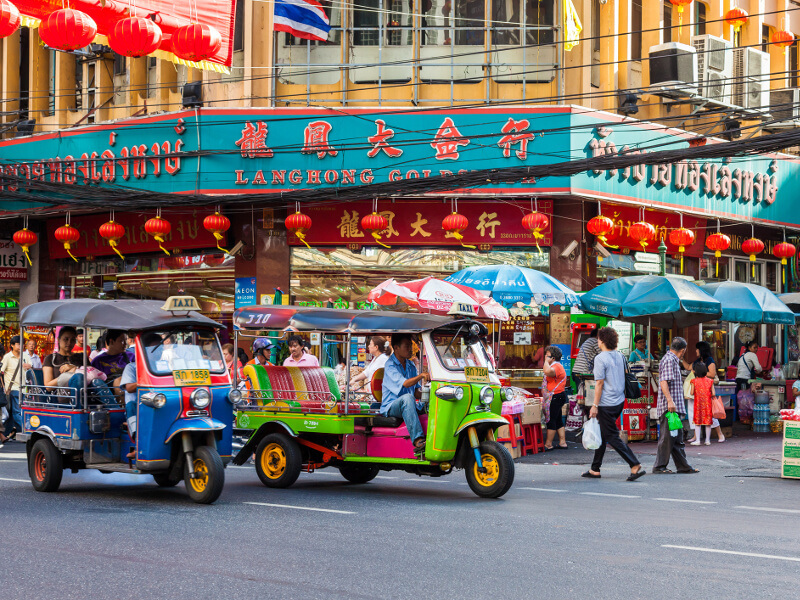 Embrace the bustling streets of the city and experience Thailand from a local’s perspective by tuk tuk. For those feeling a little adventurous and ready to submerge themselves in a totally different cultural experience, Thailand will offer just that and more. From hotel accommodations to incredible food and endless activities, it’s an extremely affordable place to travel – the perfect destination for snowbirds planning their winter vacations on a budget. At a quarter of the cost of living than most western cities, you’ll be living like royalty! Nowhere else will you find $2 heaping bowls of Pad Thai, bursting with authentic spicy Thai flavours that will be sure to make it to the top of your “best meal ever” list. The country boasts white sandy beaches, stellar snorkel spots, temples, luxurious spas, and of course, food – so much food! Before you go, do some research to learn more about the culture and common accidents and health hazards in Thailand. How to get around: Thailand has both a train and bus system, as well as tuk tuks, (ideal for shorter trips), and cabs (for longer trips). In the larger cities, you may even luck out with Uber! 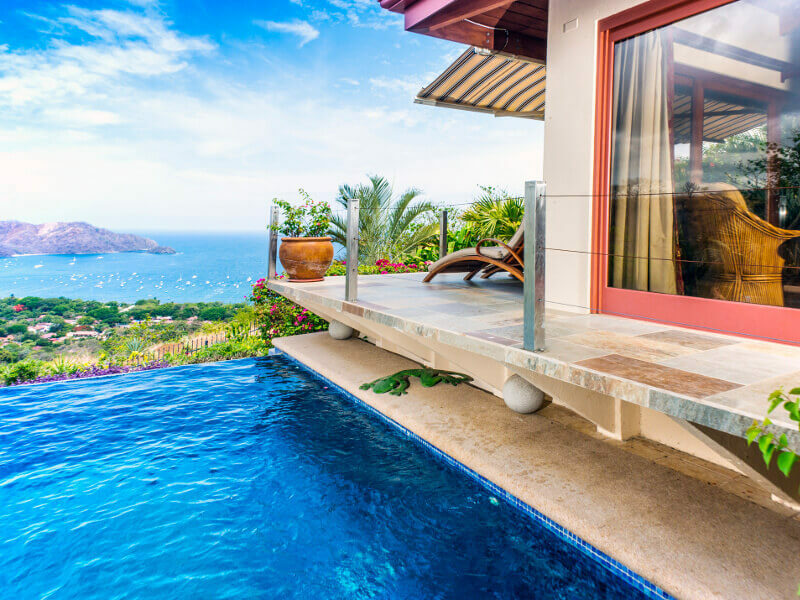 Live pura vida on your next winter getaway in one of the many vacation homes of Costa Rica. Not only does Costa Rica have bountiful beaches (perfect for surfing, nonetheless), it also has lush rainforests, beautiful mountains, and adventurous outdoor activities including hiking, zip-lining and horseback riding. If relaxation is what you’re going for, you’ll feel completely rejuvenated after a trip to Costa Rica. Unlike other parts of Central America, Costa Rica is known for its safe surroundings, so you’ll have no worries on your visit. While Costa Rica is a great destination for families, it has so much to offer for retirees planning to spend the winter in a friendly and relaxing destination. Seniors are often referred to as “cuidadanos de oro”, meaning “golden citizens”, and are treated with the utmost respect – a great reason to visit this magical place. While you’re there, enjoy trips to Poas and Arenal volcanoes, yoga classes, river boat cruises, and even aerial tram rides through the rainforests! 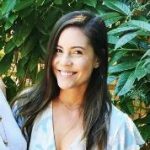 Costa Rican food is very similar to Mexican cuisine, decently priced depending on where you visit – the most popular areas being Playa Hermosa, Tamarindo and Flamingo. Don’t forget to indulge in their local beer, Pacifico, and their fresh ceviche! How to get around: Renting a car is usually the best option, but if you’re not planning on exploring too much, you can easily get away with using shuttles or cabs! 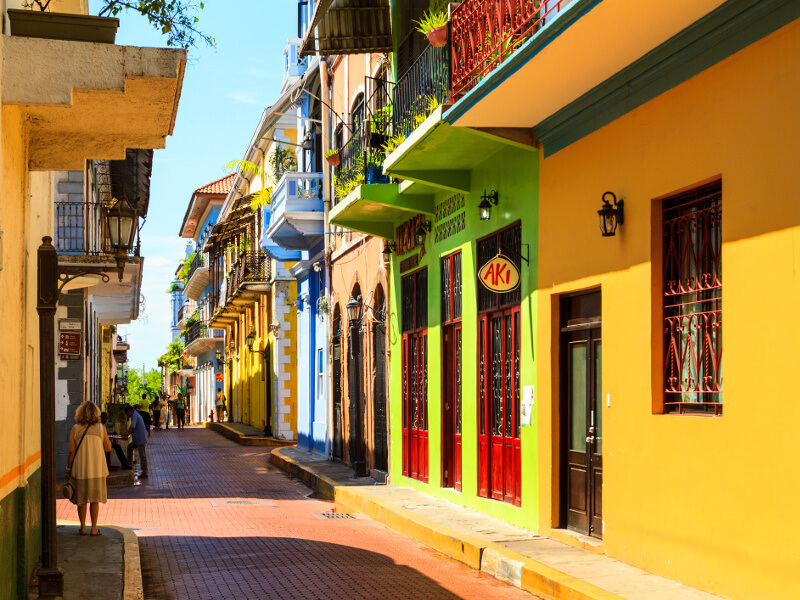 Take a walk among the vivid streets of Panama City, Panama. Panama boasts a large expat community of about 25,000 North American citizens, so it’s definitely becoming a popular place to travel. It’s a great place to accomplish a lot in a small amount of time. In just a week, you can do everything from exploring mountains and lush rainforests, to swimming in two different oceans, and visiting the famous San Blas islands. In Panama City, you can enjoy world class shopping, casinos and restaurants with authentic Panamanian cuisine! Smaller cities are home to many plazas, churches and parks. The locals are friendly, and Panama is generally a safe, inexpensive place to visit. Outdoor activities include golf, scuba diving, hiking, and of course – relaxing. How to get around: There are plenty of transportation options in Panama, including buses, metro, Uber and taxis. Like most countries, never ask the taxi how much the trip will cost. Let the meter run, or pay the driver the amount you think they deserve – usually around $3 within the city centre. Once you’ve decided on your destination of choice, don’t forget to purchase the right travel insurance before you leave. If you’re over 60, read this post on frequently asked questions regarding our Medical Health Questionnaire. Now what are you waiting for? Your next winter destination is waiting for you!